Florence Henri is rapidly becoming one of my favourite photographers, an artist who emerged during one of the golden periods of photography, the avant-garde of the 1920s-30s. While we have seen some of these photographs before in a previous posting, there are some new and delightful images to enjoy here. 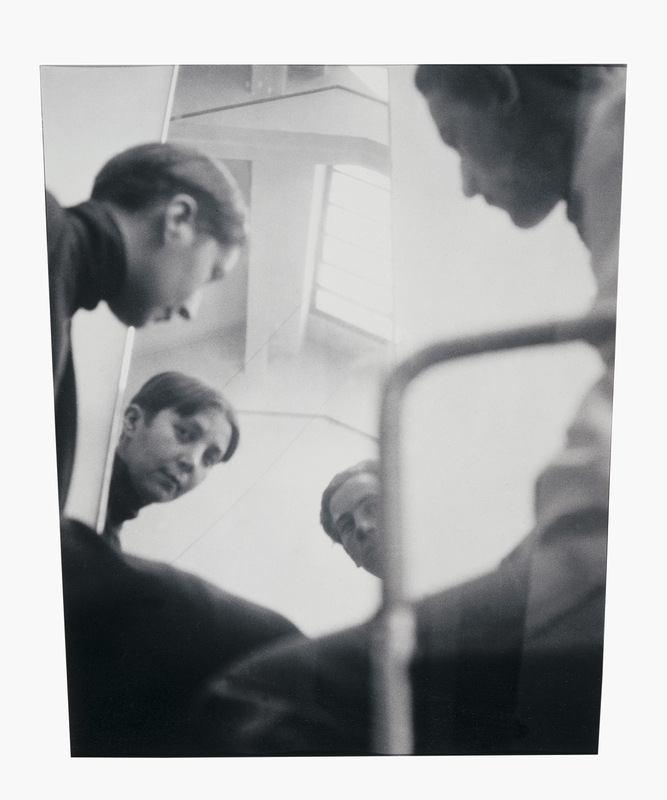 In a photographic sense, Henri can be seen as a precursor to Judd’s volumes, creating her own worlds from the ground up, creating the entire environment where the space and the object are one and the same thing… only to then record and flatten that space into the essential nature of the photograph, its physicality. Her sensory affects “remain fixed in the concatenation of materials, structure and placement that generates it. They are the lived equivalent of those conditions, experienced as continuous in time – hence, timeless – remaining wholly the same until interrupted.”2 How appropriate for Henri’s photographs for they do indeed have a timeless “air”, a transcendence of the time and place they were taken, a transcendence of the space which her volumes inhabit. Objects in and of space, the two the same. As Judd observes, “Time and space don’t exist [as idealized absractions]; they are made by events and positions. Time and space can be made and don’t have to be found like stars in the sky or rocks on a hillside.” Time and space are grounded in being human: they exist when someone experiences them.”3 Here is the nub of the matter, for it matters that we experience Henri’s photographs each in its definite time and space. Henri’s being is immersed in these volumes and they hold our interest because the created environments are saturated with her own sensations. Many thankx to the Jeu de Paume for allowing me to publish the photographs in the posting. Please click on the photographs for a larger version of the image. 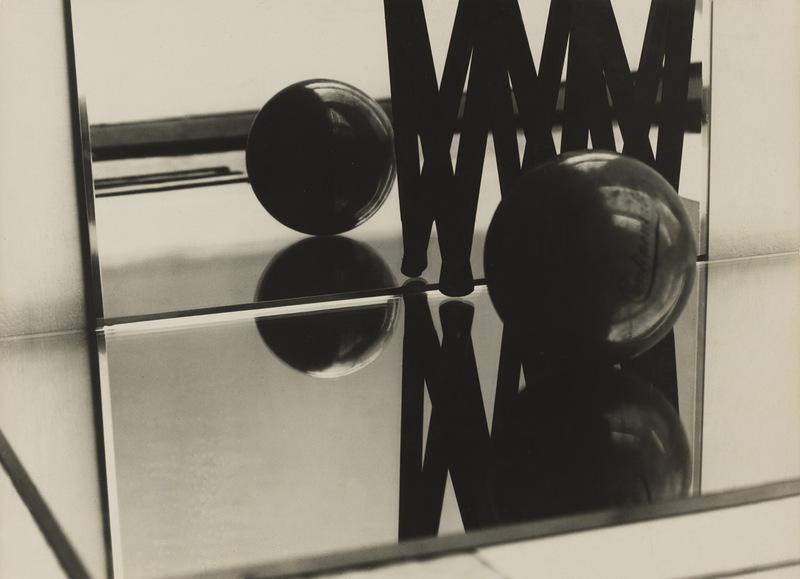 Henri’s greatest experimentation with geometric abstraction occurred during the period between 1929-1930… In the photographic work, Florence Henri exploited the dialogue between realism and abstraction, but always maintained a recognisable subject. She was concerned with transparency and movement, and she explored spatial extension and fragmentation in her utter modern vocabulary. Florence Henri. Mirror of the avantgarde illustrates the desire of the Jeu de Paume to highlight the important role played by women photographers from the 1920s to the 1950s, and follows on from previous exhibitions devoted to Claude Cahun, Kati Horna, Eva Besnyö, Berenice Abbott, Lisette Model, Laure Albin Guillot and indeed,Lee Miller. 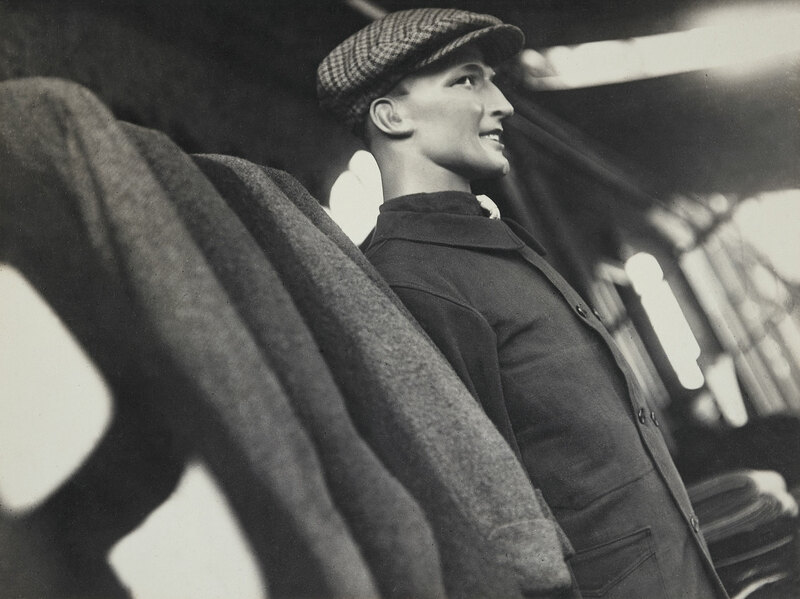 The exhibition brings together, for the first time in France, over 130 vintage prints by Florence Henri, as well as rare documents and publications, revealing the artist’s photographic production. 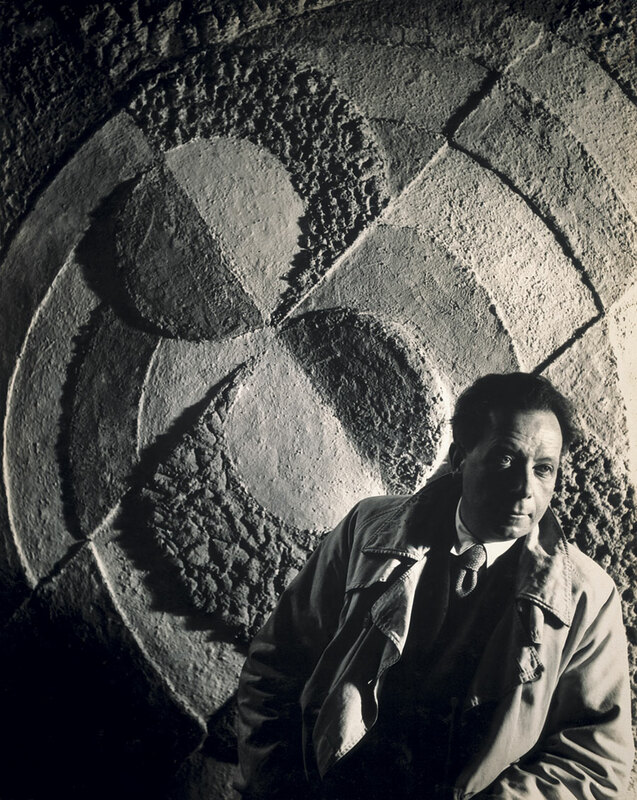 Influenced by Constructivism, Cubism and Surrealism, Florence Henri’s work is part of the exciting creative tenor of the period, during which, photography, like cinema or architecture, embodied a spirit of innovation and progress, as well as a certain unconventionality in terms of the dominant visual order. Familiar with Bauhaus, Florence Henri was one of the figures of the European artistic intelligentsia of the time. Her friendship with Fernand Léger, the Delaunays, Hans Arp, László Moholy-Nagy and Theo van Doesburg would have a profound influence on her work. 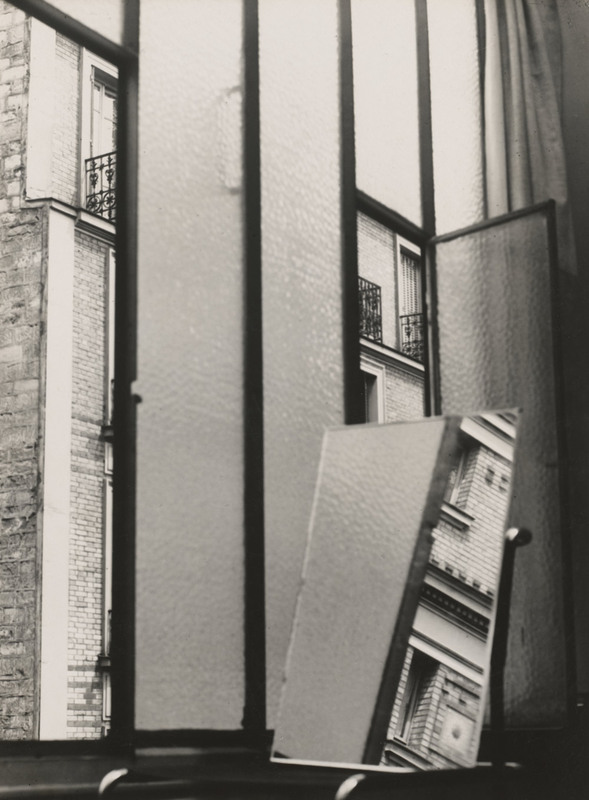 In 1929, Florence Henri opened a photography studio in Paris. It soon rivalled that of Man Ray’s. Her classes were very well-attended and her talents as a portrait photographer were quickly recognized. It is not so much the image alone as the constant research that brings Florence Henri’s work to life. Lines and geometric compositions are recurring elements in her photographs. Over the years, she made her compositions increasingly complex through the use of mirrors, industrial and natural objects, or through collage and superposition. 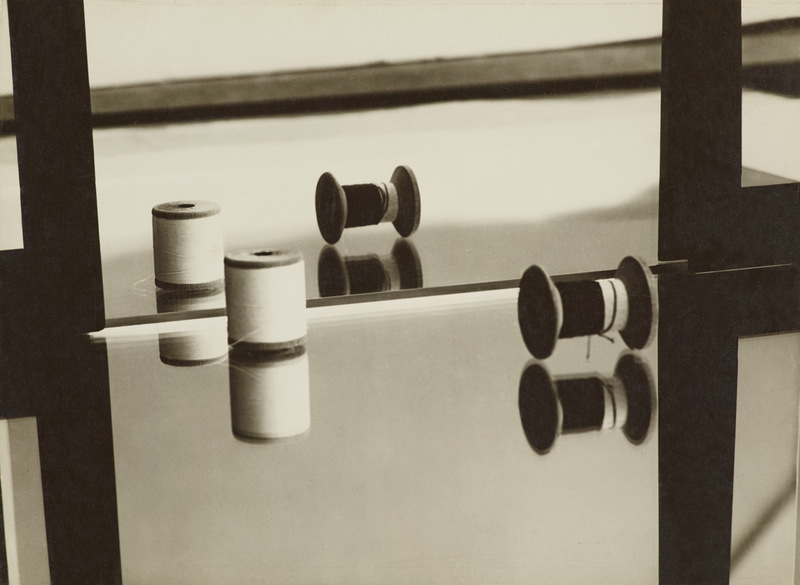 The exhibition attempts to both decipher and highlight the work of Florence Henri in terms of reflections, perspective, the depth of field and photomontage – key technical experimentations in the history of modern photography. Florence Henri (New York 1893 – Compiègne (France) 1982) was a multi-faceted artist, who was first known for her paintings before making a name for herself as a major figure in avant-garde photography between the end of the 1920s and the beginning of the 1940s. She lived in Silesia, Munich, Vienna, Rome and above all Berlin, before finally settling in Paris in 1924 and devoting herself to photography. 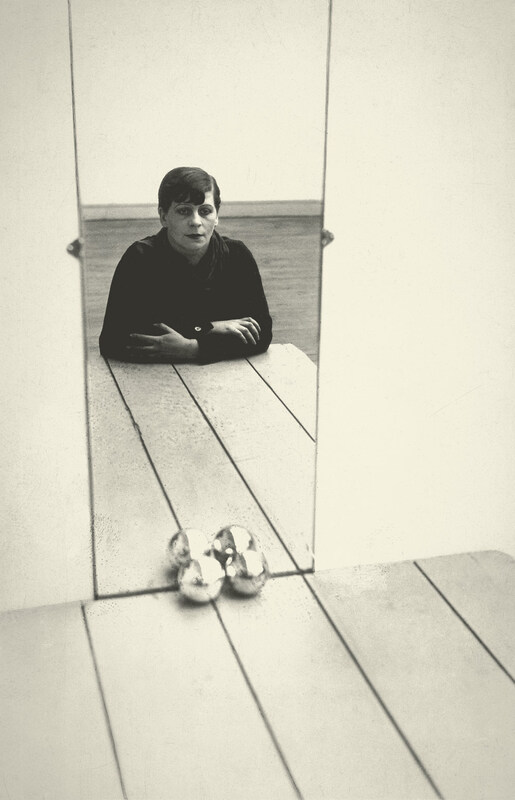 This medium enabled her to experiment new relationships with space, in particular by the use of mirrors and other objects in her compositions. 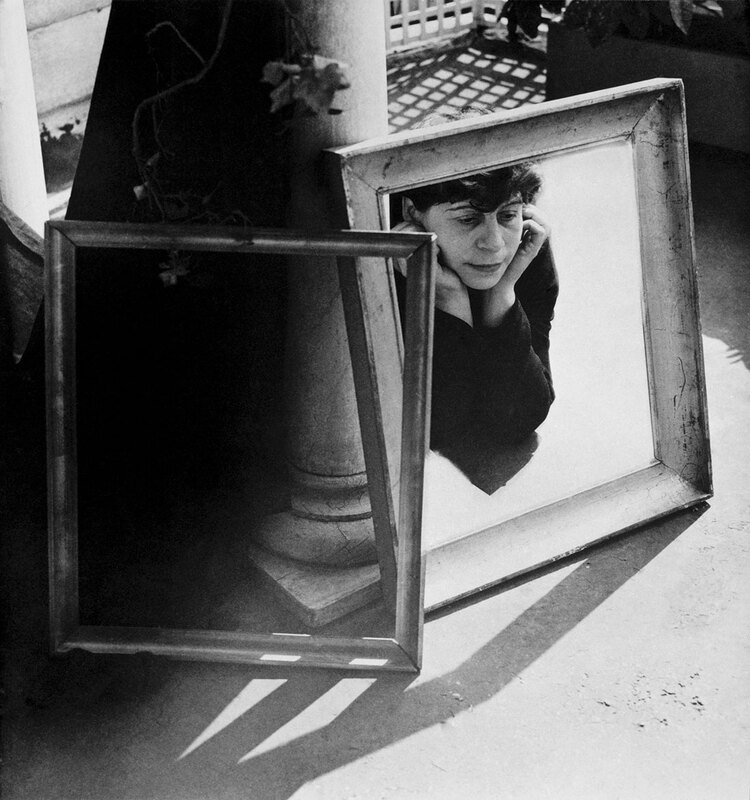 The Jeu de Paume is presenting a vast panorama of Florence Henri’s photographic production from 1927 to 1940, including her self-portraits, abstract compositions, portraits of artists, nudes, photomontages, photocollages, as well as documentary photos taken in Rome, Paris and Brittany. The exhibition comprises vintage prints, various documents and published material. When she was young, Florence Henri studied music and painting in England and Germany. In 1919, when she was a student at the Berlin Academy of Arts, she made the acquaintance of writer and art historian Carl Einstein and became friends with several figures of the avant-garde, including Hans Arp, Adrian Ludwig Richter, John Heartfield and Lázló Moholy-Nagy. She took classes with Paul Klee and Vassily Kandinsky at the Bauhaus in Weimar. In 1924 she moved to Paris, where she followed classes at the Académie Montparnasse, whose director was André Lhote, then at the Académie moderne (founded by Fernand Léger and Amédée Ozenfant). 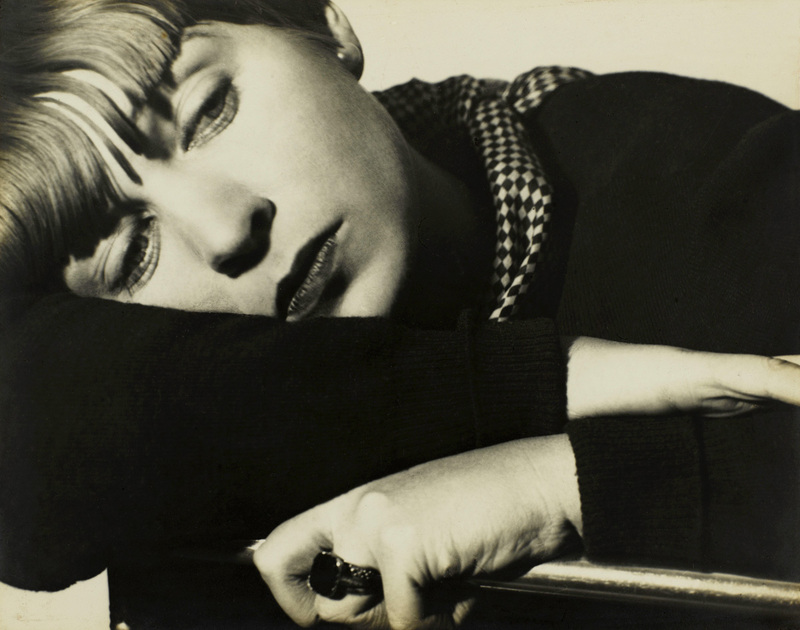 In 1927, after a visit to Bauhaus in Dessau, she abandoned painting in favour of photography. 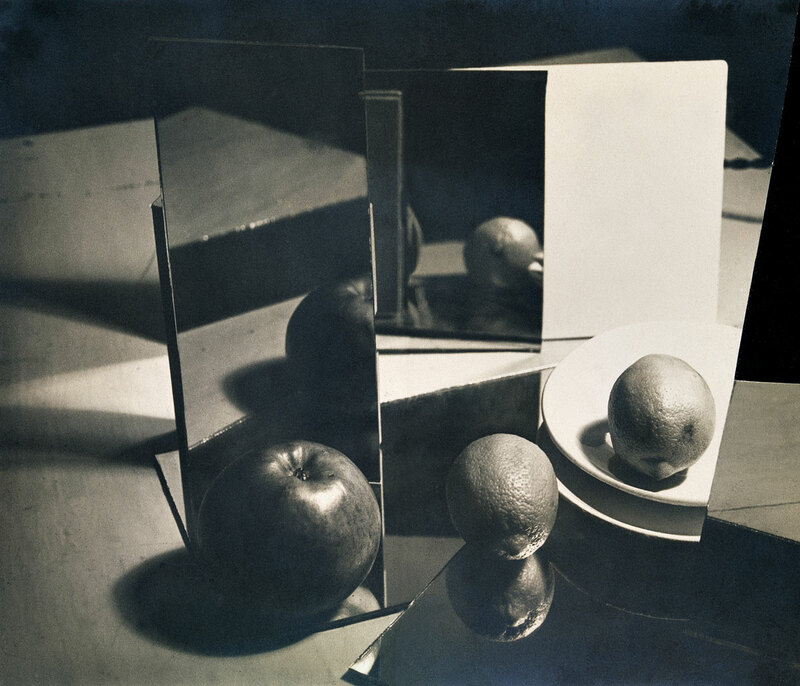 It was at this time that she produced her famous self-portraits in mirrors and her still lifes; the result of her first steps in the spatial research that she would carry out through the medium of photography. Between the end of the 1920s and the beginning of the 1930s, three mythical exhibitions in terms of the history of European photography took place in Germany: “Fotografie der Gegenwart” at the Folkwang Museum in Essen (1929); “Film ind Foto” (Fifo) organised the same year by the Deutscher Werkbund in Stuttgart and “Das Lichtbild” held in Munich (1931). These exhibitions bore witness to the rapid expansion of new photographic concepts and a rupture with tradition. 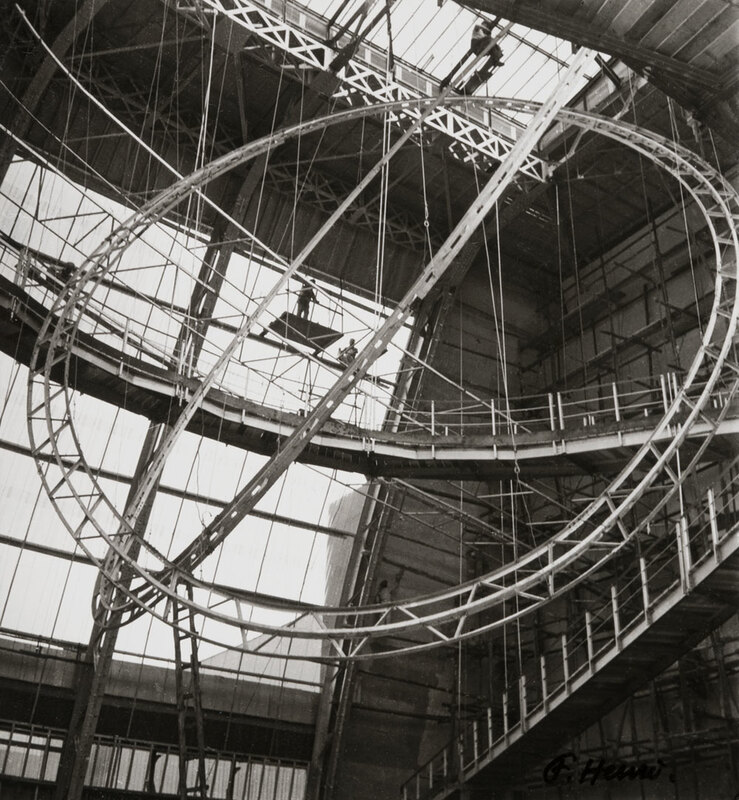 Fifo marked the zenith of the Neues Sehen (New Vision) movement of which László Moholy-Nagy was an exponent and “Das Lichtbild” marked the triumph of Neue Sachlichkeit (New Objectivity), whose leading representative was Albert Renger-Patzsch. Florence Henri was invited to show an important number of prints at these three exhibitions in recognition of her photographic production during this fundamental period that saw the photography used to free our vision and open out onto new experiences. 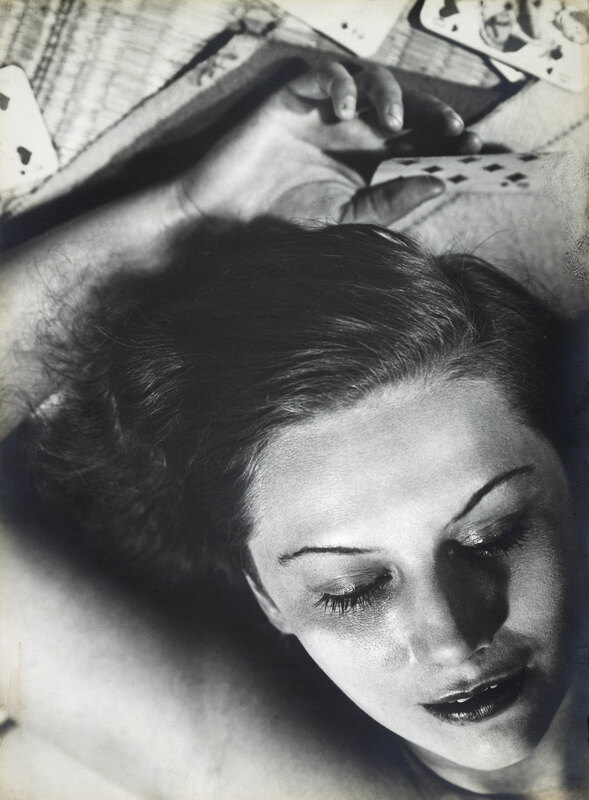 Florence Henri’s studio rivalled that of Man Ray, even if she had also opened a school of photography where Lisette Model and Gisèle Freund, amongst others, would enrol. 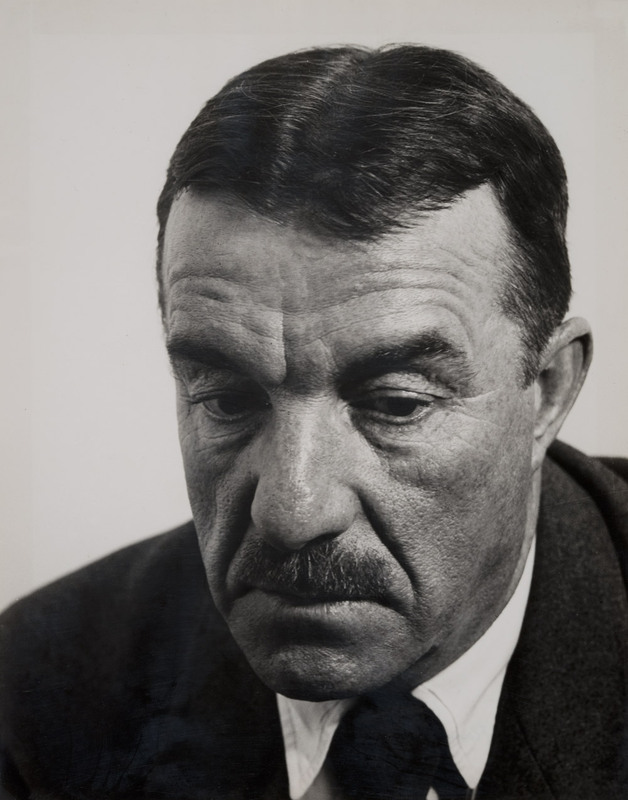 In fact, despite the central position that her oeuvre occupied in avant-garde photography at the end of the 1920s, her reputation as a portraitist in Paris, and the fact that her photos had been published in many of the period’s illustrated magazines such as Arts et Métiers and Lilliput etc, Florence Henri’s body of work remains largely unknown. *László Moholy-Nagy, “Zu den Fotografien von Florence Henri”, i10, No 17-18, Amsterdam, December 20, 1928. Her most well-known work is a self-portrait, in which Henri sits before a mirror, dolled up almost as if in drag. Two silver balls lay reflected up against the mirror, equivocal symbols of both testicles and breasts. Henri, influential in both her artistic style and personal styles, toyed with gender binaries, using her personal appearance to emphasize the performative nature of gender. The artist was married to a Swiss house servant, but went on to have other relationships with both men and women, including a longtime affair with artist and model Margarete Schall. 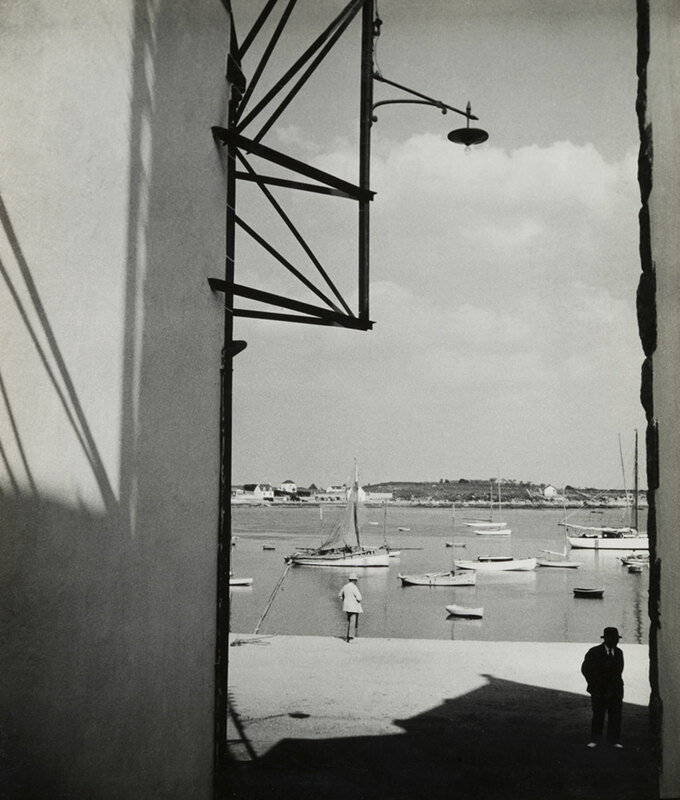 Henri established herself as a formidable photographer, and remained consistent in her work up until World War II. Then her work declined considerably, both due to lack of materials and the prohibitions imposed under the Nazi occupation. Henri briefly returned to painting, but her central period of output remained in the 1920s and 1930s. Her compositions, simultaneously warm, playful, clever and inquisitive, set the stage for future explorations into the limits of photography, or lack thereof. Priscilla Frank. 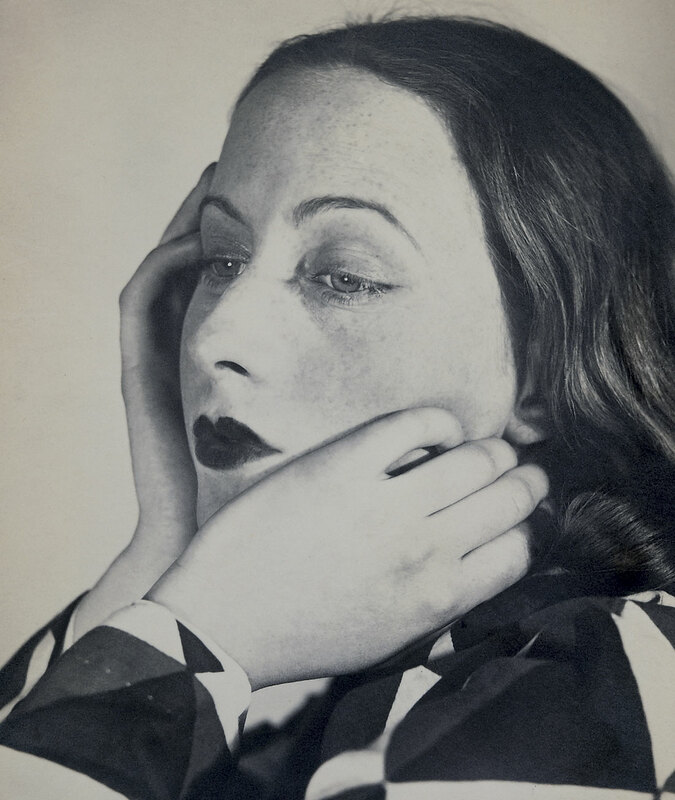 “Meet Florence Henri, The Under-Acknowledged Queen Of Surrealist Photography,” on the Huffington Post website, 20th February 2015. Her earliest compositions introduce an element that would be fundamental for her artistic investigations, namely the mirror. Using a very limited number of elements, Henri created extremely complex images characterised by the fragmentation of space and the use of multiple viewpoints. 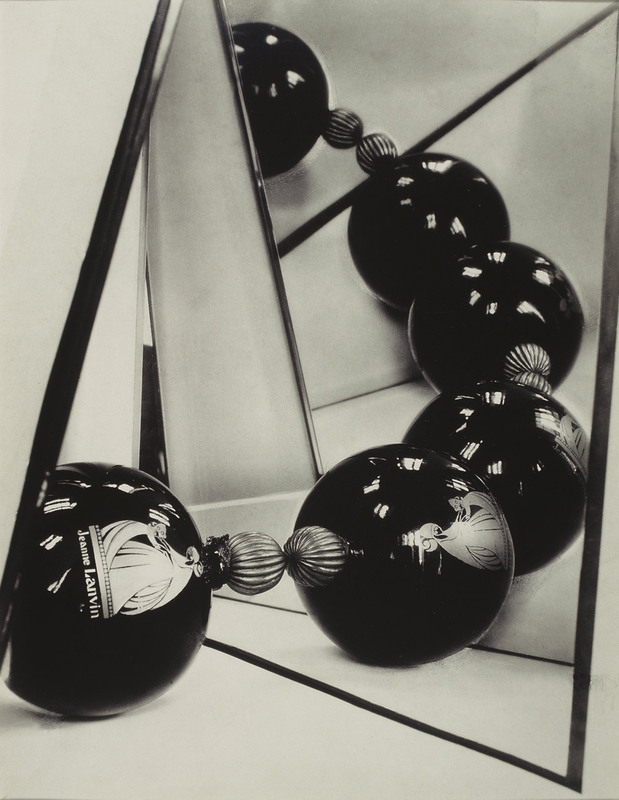 They include one of her best-known works, the self-portrait looking in the mirror with two metal spheres, which may be said to embody the spirit of freedom typical of that period, conveying the image of a modern and emancipated female artist, one who failed to conform to the societal status traditionally assigned to women. 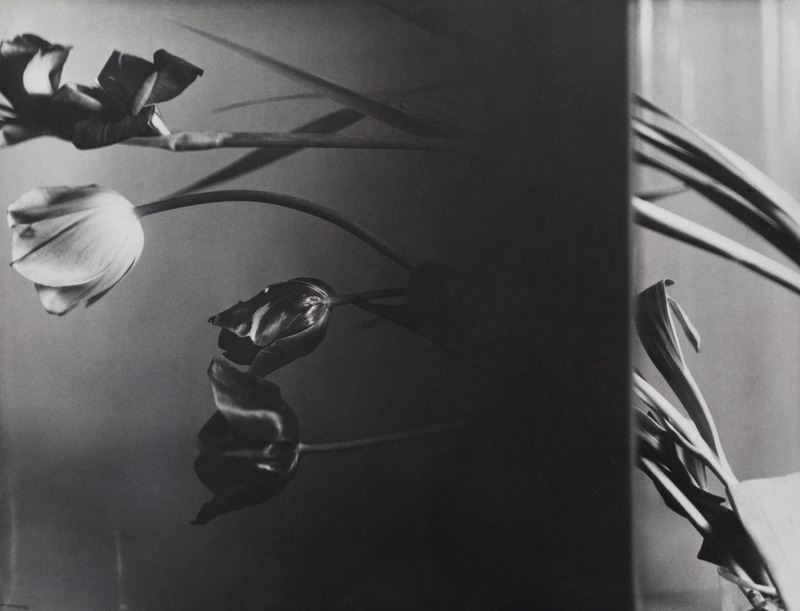 Florence Henri uses methods such as multiple exposures when shooting, or a combination of several negatives, some inverted, to obtain abstract images, in which she manages to bestow static objects with a sense of dynamism. 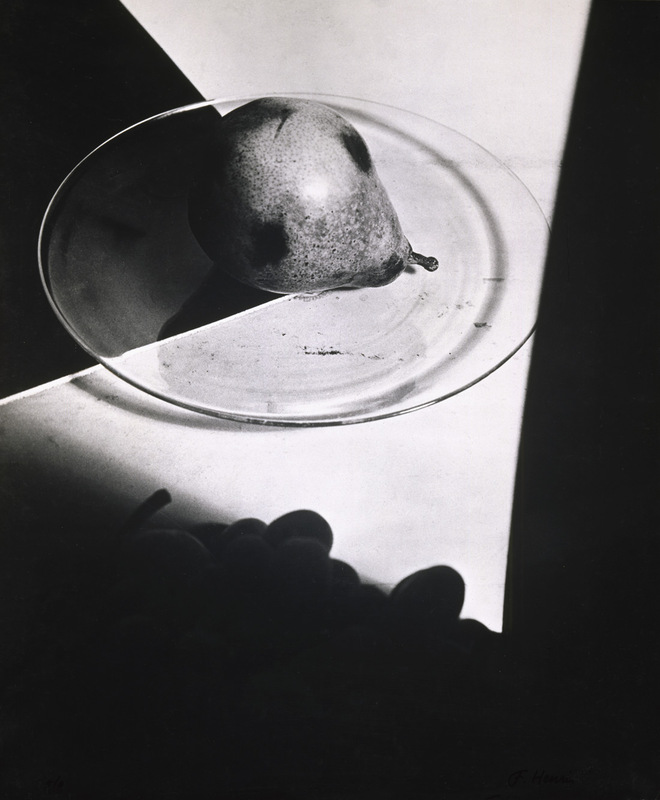 Florence Henri’s output during this early phase can be described as a perfect synthesis between abstract geometrical painting and the innovations of New Vision photography. In the field of professional photography, Florence Henri stands out for her very personal approach to advertising photography. Indeed, her images are the natural extension of her photographic experimentation and investigations using objects and mirrors. She quickly substitutes industrial objects with natural elements in her compositions. In addition, she introduces a new tool in her work: collage. She makes them with fragments of prints, and then reproduces them to create the final print. She also introduces a new technique into her work – collage – thereby underlining her interest in autonomous images that move away from a simple reproduction of reality, all the while emphasizing the conceptual work of the artist. Her quest for experimentation leads Florence Henri to work on the shadows passing vertically through the frame, creating a dark gap that interrupts and fragments the continuity of the image. Their aesthetic characteristics clearly place the works grouped under the title Nu composition as part of the formal research Florence Henri carried out from the early 1930s, where the mastery of the composition obviously remains the central concern of her work. Here, the camera is positioned at a slight distance in order to capture the sensuality of the female form, while natural objects – hyacinths and shells – or other more enigmatic elements, such as a comb or cards, also appear in the frame. 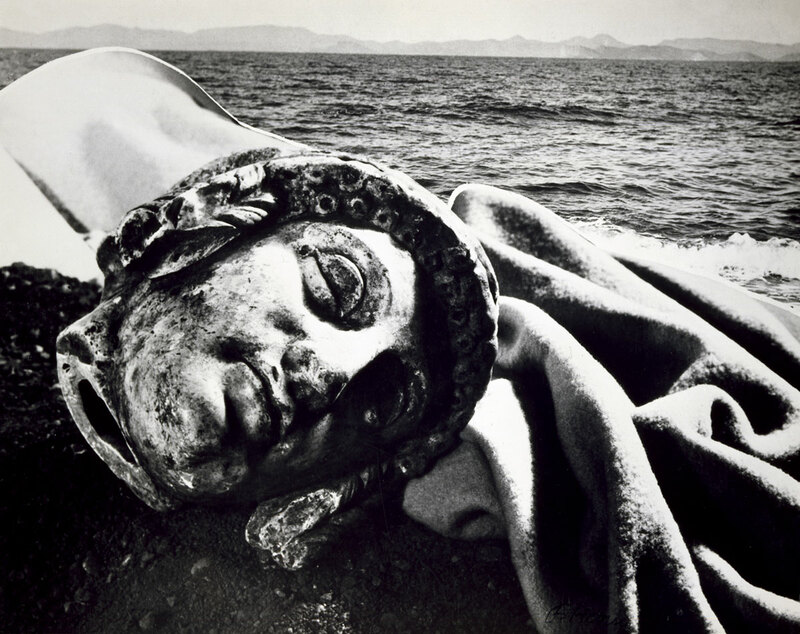 In late 1931 and early 1932, Florence Henri visits Rome where she takes a series of photographs, notably at the Roman Forum, but also at Saint Peter’s Square, which she uses, upon her return to Paris, as material for numerous collages, developing the technique she had already used in certain of her still lifes. The series Portrait Composition, is characterized by the tight framing of the central figurer – though some are models, most are her friends, including Grete Willers, Sonia Delaunay, Woty Werner, Kurt Wilhelm-Kästner, Fernand Léger, and Tulia Kaiser. The artist often makes use of harsh lighting, which marks the traits or make-up of her subjects with a diagonal composition or even distorts the image. The photographs taken in Brittany, which at first glance could be seen as purely documentary, reveal a very carefully considered attention to structure. 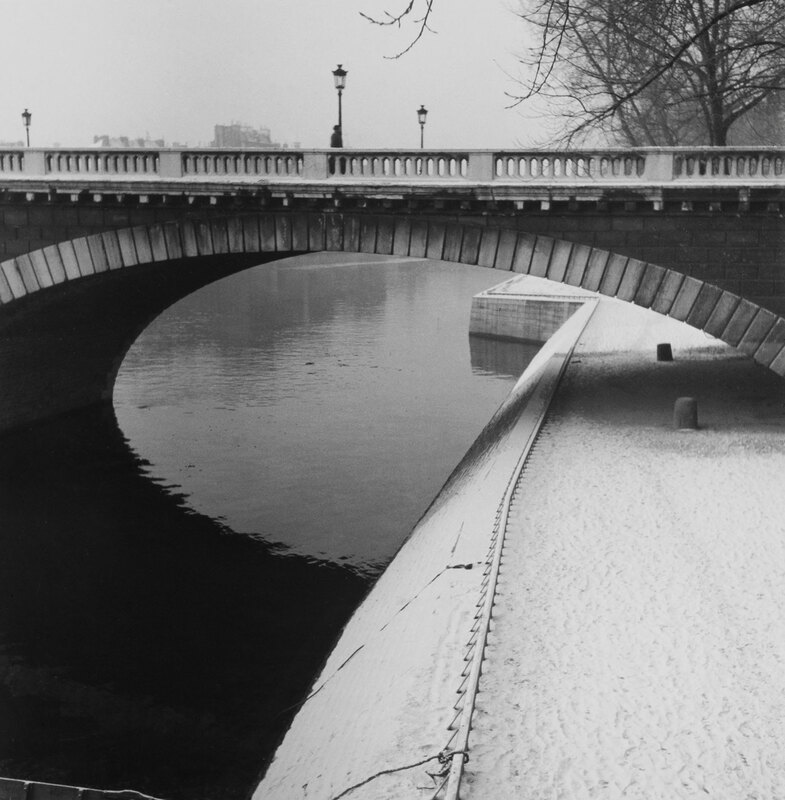 In some of the more general shots, Florence Henri inserts a blurred, graphic element between the lens and the landscape, thereby going against the idea of photography as merely capturing reality, and once again, reinforcing the notion of composition. When Florence Henri strolls through Paris with her camera, her images reveal a very different preoccupation to that of other photographers. Faithful to her attention to structure, in the reflections of store windows she finds the same spirit that brings life to her studio compositions using mirrors. 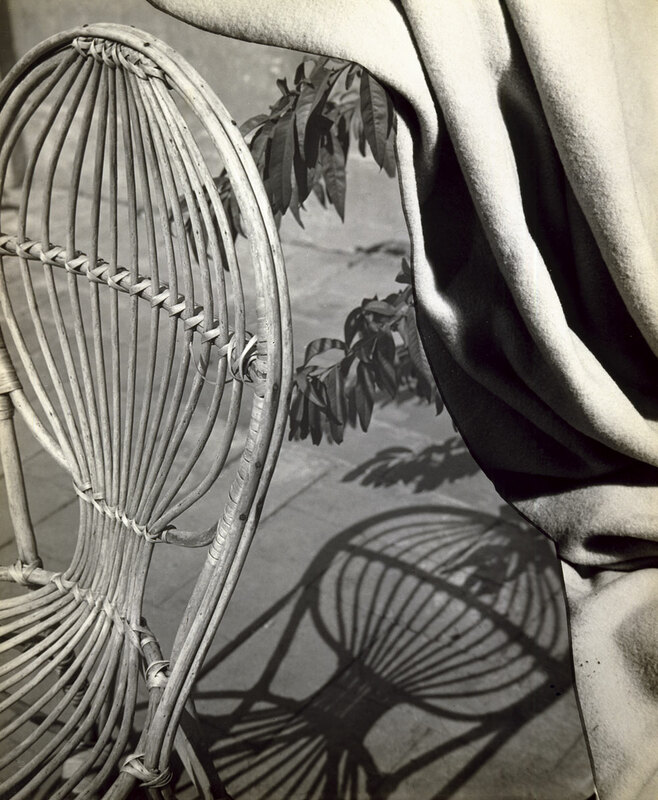 In 1936, Florence Henri moves to the Rue Saint-Romain in Montparnasse, where she makes use of the terrace to work in natural light, and to pursue her study of the fragmentation of the image through the use of shadows and reflections. She also returns to her self-portrait work.